GOOD NEWS: Fire and Wind Insurance rates are coming down !! We represent over 100 different companies, and we are seeing up to 40% rate reductions on property in most cases. This is driven by the better construction standards in our area including enforced Building Codes, stronger Fire Districts, and all of the mitigation efforts to improve the resiliency of our structures. An additional factor is all the work of IBHS and their Designations of Fortified Homes for BRONZE CERTIFICATION (for a strong and water tight roof), SILVER CERTIFICATION (for the roof AND impact protection on structure openings and attached structures) and GOLD CERTIFICATION (for roof AND openings AND structural integrity for the whole unit including the chimney). There may be grants or loans available to fortify your home. These structural improvements to mitigate potential damage and fortify your home will help ensure that you have a home and business to come home to after a storm, which is beneficial to our whole economy and well-being. Another reason contributing to lower insurance costs are continued low interest rates, which are prompting large investors to pump money into global Catastrophe Bonds to enjoy higher returns, which is assisting with lowering reinsurance rates, and resulting in lower overall rates for consumers like you and me. There are many more insurance options for business owners and homeowners, so you should definitely shop around with a Trusted Choice insurance agent, but be aware that insurers are becoming more picky about which homes they will insure at the lowest rates, and each carrier has different requirements … More on that topic in a bit. NOT SO GOOD NEWS: Flood insurance rates have increased as of April 2015, in the 10-18% range. There are higher fees in addition to the higher rates, particularly for non-primary homes and commercial structures. There are higher deductible options to reduce your rates, so ask for your options, BUT DON’T LET YOUR POLICY LAPSE. In every area that has been re-mapped, we have a one-year window (through April 2016) to get a policy in place under the prior “grandfathered” rates, but after that time, the rules will change. FEMA has implemented a one-year grace period for properties deemed to be “recently mapped” , and after the one year period, if there is no flood insurance in place, the higher standard rates will apply. What does this mean to you? If you have a home in a recently mapped area where your prior flood zone was B, C, or X, and has now been changed to Flood Zone A, and you purchase your coverage now before April 2016, the rate will be in the $400 range, however, if you wait till after April 2016, your rate will be in the $2000 range. A HUGE DIFFERENCE! Also, if you have a flood insurance policy that meets the recently mapped guidelines, your policy is able to be transferred to a potential buyer. So if you EVER plan to sell your home, you will need to have a flood policy in place. If you will EVER need to get a bank loan, you will need to have a flood policy in place. TO DO: You MUST verify your Primary Residence with FEMA, or you will be changed to non-primary status. You will need to sign and return the form sent to you. Non-primary residences and commercial structures will be surcharged $250. TO DO: Check into higher deductibles to reduce the cost of insurance coverage. A $10,000 option will now be available - but remember that it applies to EACH coverage (structure and contents), so if you choose the highest deductibles available, you will have to pay $10,000 deductible for the structure AND $10,000 deductible for the contents. TO DO: Don't let your policy lapse. Rewrites may be more costly to you. TO DO: Buy Flood Insurance NOW if you do not have it yet. It's your last chance to purchase insurance at a reduced rate, if you do not have flood insurance yet, and your zone was re-mapped in 2008 or more recently. Make your purchase BEFORE April 1, 2016. 1) Not Carrying the Correct Limits of Coverage - if your coverage is too low or not keeping up with inflation, you may be penalized at the time of a claim. Replacement cost is a broader policy and protects you more; you should insure the total expected cost to rebuild your home (not market value or what you can sell it for); Coverages increases cost very little. Be sure to review your coverage levels at least annually. 2) Not Taking Advantage of Discounts - be sure to always ask about discounts if you have a home security systems, updates to your roof and/or electrical, and other special home features or mitigation. 3) Not Properly Insuring Your Home - if you have a change in how your home is occupied, or you are putting your home up for sale, or your home is now vacant, this could VOID your coverage. Let your Agent know! Also consider adding valuable coverages such as sewer and water backup, flood insurance, and earthquake insurance. 4) Taking the Cheapest Policy - cheaper is not always better. Insurance policies vary greatly, and there are many ways to safely reduce the price you pay without sacrificing important coverages that protect you. Learn how to make your home look attractive to the insurance company! Things to watch: be sure that the proper policy limits are selected so that you are not penalized if you need to make a claim - you should review the limits annually; be sure to disclose any home business, so you and your business assets are protected. We are happy to assist you and review your coverages. 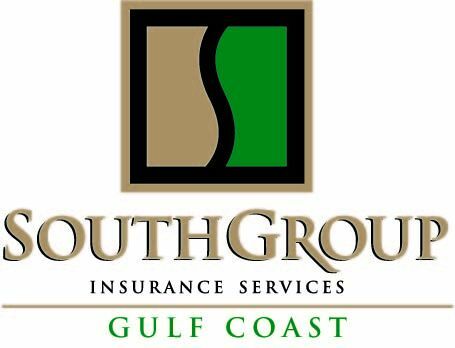 Just call 228-466-4498 or 228-385-1177 or email:info@southgroupgulfcoast.com. We have time to help you.